Lancaster has become the latest British University to face a rebuke from the Advertising Standards Agency over misleading advertising, after complaints about advertising material first revealed in SCAN were held up by the regulatory authority. One of the claims in question was printed in Lancaster’s 2018 undergraduate prospectus, which stated ‘Our accommodation is the best in the country,’ referring to the National Student Housing Survey of 2010-2015. As the NSHS surveys only 68 out of 127 higher education institutions in the country, questions were raised over the validity of this claim. 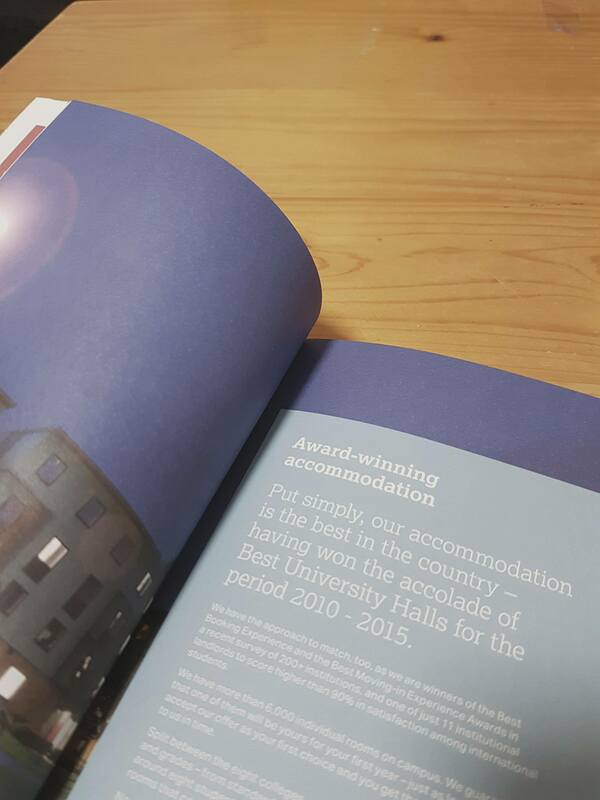 The NSHS survey is in fact the only major survey which suggests that Lancaster’s accommodation is the best in the UK. The Times Higher Education survey ranks Lancaster as 2nd to Harper Adams University, while WhatUni places Edge Hill at the top of their accommodation league table. The Advertising Standards Agency is a non-statutory body, meaning that it cannot impose legislation or inflict fines. However it’s authority is broadly recognised across the advertising world, and it has forced advertisements to be pulled in the past. Major Advertising Standards Agency rulings have included forcing Apple to back down on advertisements for the original iphone, and for compelling Tripadvsior to take back claims that the reviews on it’s website were consistently genuine. In a statement at the time, the University’s press office claimed that they ‘had no desire to mislead anyone’ and that they would provide a more detailed and clear explanation in the 2019 prospectus. The 2019 prospectus does not feature the claim in question, instead naming the survey used and the award, “Best University Halls”, the original claim was based on. The authority has also ruled that Lancaster’s affiliated Academy 92 in Manchester has also published misleading claims. An advert claimed that there would be 4G football pitches around the campus, which was not confirmed due to planning permission required for one potential pitch. As a result the Advertising Standards Authority has asked the University to remove the advertising in question, which included the prospectus’s earmarked for the first intake of students.